Enjoy our fully accessible barn while learning about basic horse care and equipment. Spend time in the saddle learning equestrian skills. Our horses will suit beginners or more advanced riders. Learn from our skilled instructors and take advantage of our covered arena. This course is open to all riders ages 8-16 and is perfect for the complete beginner or the more advanced rider. This one-week course is perfect for the complete beginner or the more advanced rider. Available for all riders including those with special needs. Participants will be grouped by age (8-12 and 13-16) and/or ability. This program uses equine activities to explore personal empowerment. Discover talents, abilities and personality in yourself while recognizing talents in other members of the group. This unmounted experience will explore making choices while building confidence, self-esteem and trust. A horse's habits, reaction and herd mentality naturally and effectively demonstrate these characteristics. This course if open to all participants, ages 12-16. This one-week course is open to all participants, ages 12-16. 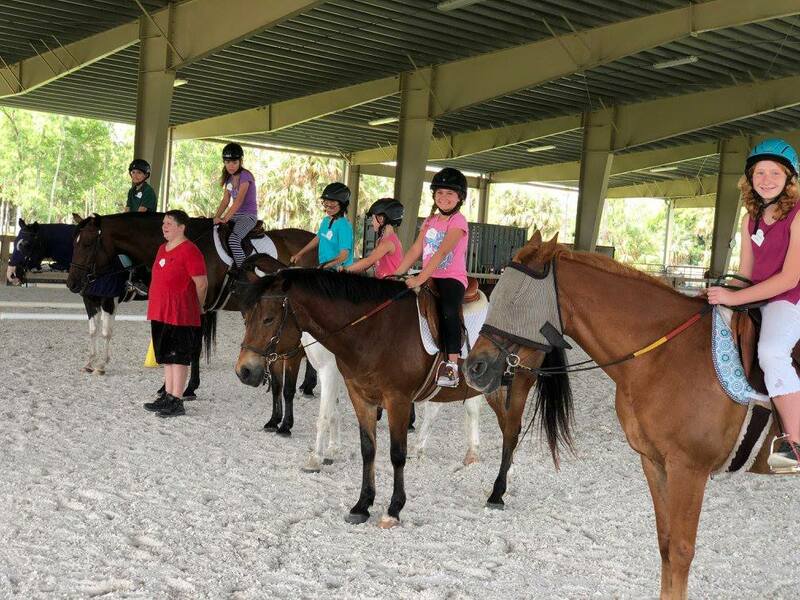 For more information about our Summer 2018 programs, please contact our office at (561) 792-9900. Class numbers are limited, so don't delay!